Eczema is a common disorder affecting the skin. It is a chronic disease characterized by frequent flare-ups. The episodes of an exacerbation are interspersed with a period of no symptoms. The common symptoms of this disease include itching, rashes, redness of the affected part, dark discoloration of the skin and oozing of moisture. Typically, the skin is dry, inflamed, with occasional formation of blisters and crusts. This disease is more common in the patients with diabetes and those suffering from other allergic disorders such as rhinitis and asthma. Patients with diabetes have a higher risk of skin infection at the affected site due to frequent itching. Rinse your hands with water and pat them dry. Warm the required quantity of coconut oil sufficient enough to apply on the affected part. Rub the oil onto the affected areas gently and rub it with a smooth circular action till it is absorbed completely. Note: Avoid massaging the affected part if there is oozing of moisture or if the rash is intense. In such cases, apply the oil and allow it some time to get absorbed into the skin. Contrary to its name, Jojoba oil is not oil but a liquid wax. The prime action of this wax in the treatment of eczema is to keep the skin well hydrated. It can easily penetrate into the deeper layers of the skin and act similar to the natural oils produced by the skin. This ensures the skin remains moisturized for prolonged hours after the application and prevents itching caused due to the dryness. It should be noted that the itching of the skin of often a factor that leads to an acute episode of eczema as scratching of the skin results in the erosion of the delicate outer layer of the skin and makes it vulnerable to infections. Jojoba oil is composed of fatty acids and fatty alcohols, which are incredibly moisturizing. The fatty alcohols are safe for the skin unlike the artificial ingredients present in the most commercial skin care products like methanol, benzyl alcohol, and isopropyl alcohol. Apply jojoba oil on the affected part. Gently massage the area with the oil until it is absorbed, at least partially. Apply it 3 times every day during an acute episode. Patients may use it once every day on a regular basis to prevent frequent exacerbations of the condition. It can be used to get rid of the dry, itchy, and painful patches of the skin. It is soothing for the skin and reduces the discomfort and irritation. It contains a higher amount of non-saponifiable fatty acids, such as stearic and oleic. These fatty acids have an ability to repair and soften the damaged skin. They can also help to reduce inflammation caused by eczema. In a double boiler, add jojoba and beeswax and let it melt completely. Once they have melted, add coconut oil and stir the mixture till it is fully melted. Lower the heat and add the Shea butter. Keep stirring till it melts. Pour the mixture into an airtight glass jar and store it for future use. When ready to use, add 2 drops of lavender oil to the mixture and stir it. Allow it to cool. Apply it to the affected areas. Note: Shea butter should be the last ingredient added to this mixture as it is more heat sensitive, and may get grainy along its shelf life if it is overexposed to the heat. 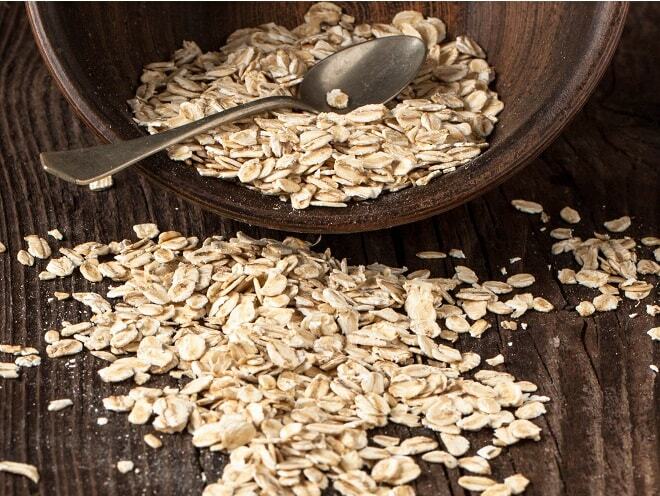 A plain oatmeal bath is highly soothing for the skin. It can provide remarkable relief from the itching, redness, and rashes caused by eczema. It moisturizes the skin and prevents scratching caused by dryness. The chemical constituents present in the oatmeal act as an anti-inflammatory agent and relieve the discomfort brought on by the inflammation associated with eczema. Pour the oatmeal over a muslin cloth and tie it securely to make a small bundle. Tie a long piece of material around its top to secure it well. Fill the tub till its half. Then, use the extra piece of the material used to tie its top to hang the bag below the faucet. Chamomile tea is incredibly soothing for the skin. It is a powerful anti-inflammatory agent. It reduces inflammation of the skin and alleviates itchiness. It also ensures rapid healing of the affected part that may have been overly-scratched. These medicinal properties of Chamomile tea are due to the natural alcohol called levomenol or a-bisabolol present in it. Bisabolol has the ability to ease irritation, and reduce inflammation of the skin. It also has anti-microbial properties, which help to ward off the germs that can attack the skin, which is weakened due to eczema. Place 4 tablespoons of chamomile flowers in a muslin cloth and tie it off. More flowers can be added in case patients want a stronger bath. However, it is a good idea to start with 4 tablespoons. Fill the tub to the half and tie the bag to the faucet in such a way that the bath water can run over it. Once the tub is full, the bag can be dropped directly in the tub. Then, give it a squeeze so as to get more healing benefits. Soak for at least 10 to 15 minutes and then, gently pat dry with a clean towel. Fish oil can help to lessen the severity of the symptoms of eczema, particularly itching. Research has proved that the patients with eczema have a reduced ability to break down the essential fatty acids into their metabolites as a result of which the amount of fatty acids getting into the skin cell membranes is also lower. Due to this, their skin is more prone to dryness, which serves as a triggering factor for the development or worsening of eczema. Fish oil can help in taking care of this root cause. It contains a high amount of certain fatty acids that are particularly essential in maintaining the normal skin functions and keeping the skin well-hydrated. Mix fish oil into the orange juice. Apply this mixture on the affected part. Let it stay for a few minutes and then, wash it off with plain water. Honey can be highly effective in reducing most of the symptoms of eczema. It is highly soothing for the skin and produces a refreshing effect on the dry and irritated skin. Its anti-microbial and anti-inflammatory properties help to speed up the healing process of the damaged skin. It contains humectant properties, which help to draw water into the skin. Apply a thin layer of honey on the affected area. Cover it with a bandage to prevent it from getting rubbed off against anything. 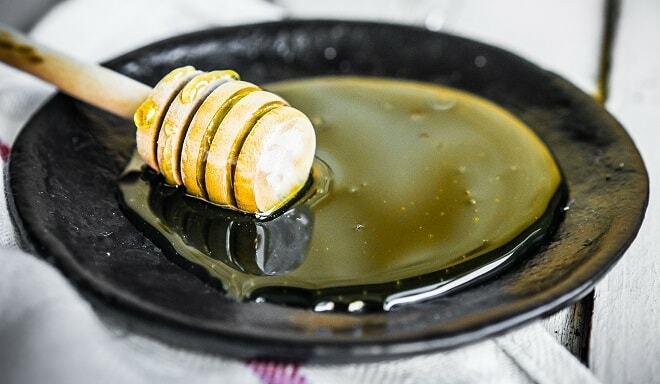 However, if the affected part can be kept unmoved without disturbing the honey applied on it, it is best to leave it open and let it breathe. It can be allowed to stay for 20 to 30 minutes. Then, rinse it off with cool water and pat dry. Use this remedy three times every day. Note: The downside of using honey is it can get sticky. Hence, it should preferably be used over small areas. Slathering it up and down all over the arms and legs should be avoided. This herb works as an anti-inflammatory agent and helps to reduce inflammation, redness, and oozing of discharge caused by eczema. It is also believed to benefit the eczema patients by eliminating bacteria with its potent antibacterial properties. It also helps the skin to heal and prevents the scar formation. It reduces burning sensation caused due to the bruises formed by constant scratching. 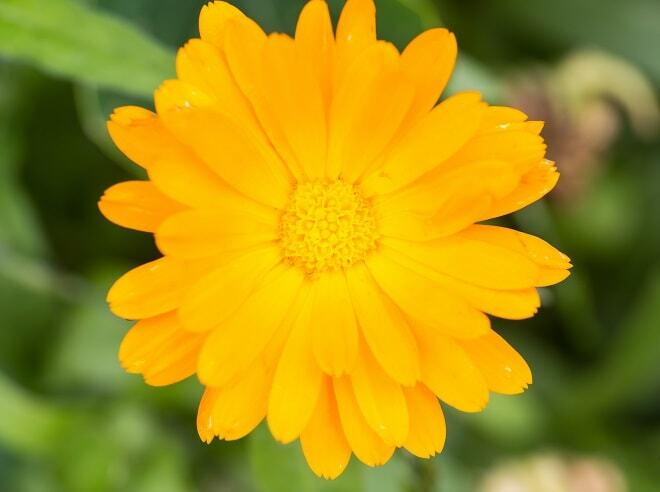 The topical formulations containing marigold were associated with an improvement in the collagen synthesis in the skin, which results in the faster healing of the damaged skin tissues. Put dried calendula petals in a clean and dry glass jar. Fill the jar with a carrier oil of choice so that the petals are covered completely. Put the jar in a sunny place to allow it to infuse for at least four weeks. Drain out the petals from the oil. Store the oil in a clean container for future use. To use, apply a small quantity of the oil on the affected part and let it stay for at least half an hour. Then, wash it off with plain water. Add chopped cucumbers and licorice extracts. Blend it together to make a smooth paste. Apply this paste on the affected part and let it stay for half an hour. Then, wash it off with plain water. Aloe Vera is one of the most common plants used for treating skin diseases. It contains anti-inflammatory and wound-healing properties. It provides relief from itching, redness, swelling, and irritation of the skin caused by eczema. Take out fresh Aloe Vera juice by cutting a leaf of the plant using a knife. Apply the juice on the affected part and massage it gently to allow it to be absorbed into the skin. Use this remedy twice daily during an acute attack.